Letting you go full ‘steam’ ahead with your boldest make up looks yet, NYX Professional Makeup’s Machinist range exudes grungy glamour. 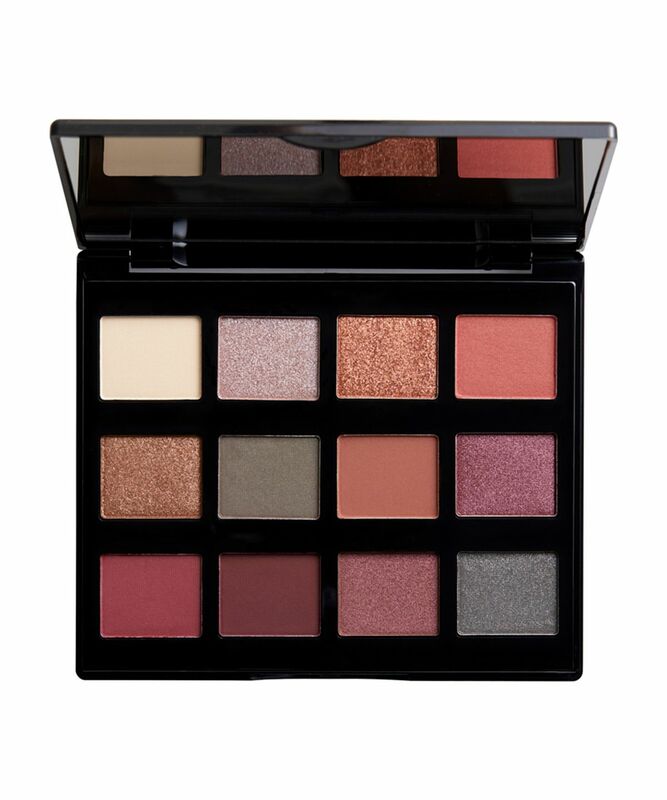 Available in three edgy shade selections, the palette unites 12 highly pigmented hues that will breathe brilliant new life into all your eye-enhancing efforts. For on-trend saffron yellows, burnished reds and glints of green, opt for ‘Grind’; for icy silvers, baby blues and taupe-hued neutrals, opt for ‘Steam’; for rustic reds, pretty pink-minks and hints of gunmetal, go for ‘Ignite’. Promising to ‘kick any look into high gear’, NYX Professional Makeup’s Machinist Shadow Palette is available in three show-stopping shade selections to suit any mood or make up whim. The richly pigmented shades offer impressive colour payoff and blend beautifully, allowing you to create all manner of make up looks. The shade selections are to-die-for: ‘Grind’ stars saffron yellows, burnished orange, golden cream, emerald green and twinkling rose and mauve hues; ‘Steam’ unites icy tones of silver and blue, accompanied by shimmering pink, blushed nudes and taupe-brown neutrals; ‘Ignite’ features shimmering copper, gold and plum tones, as well as burgundy, peach and pretty metallics. Apply with fingers or brushes. Talc, Hydrogenated Polyisobutene, Magnesium Stearate, Calcium Sodium Borosilicate, Synthetic Fluorphlogopite, Dimethicone, Tin Oxide, Aluminum Hydroxide, Ethylhexylglycerin, Tocopherol, Tocopheryl Acetate, Phenoxyethanol. MAY CONTAIN / PEUT CONTENIR (+/-): Carmine (CI 75470), Ultramarines (CI 77007), Iron Oxides (CI 77491, CI 77492, CI 77499), Ferric Ammonium Ferrocyanide (CI 77510), Ferric Ferrocyanide (CI 77510), Titanium Dioxide (CI 77891), Mica, Blue 1 Lake (CI 42090). This is the most pigmented NYX palette ever, I love it.